How does this design thing work? 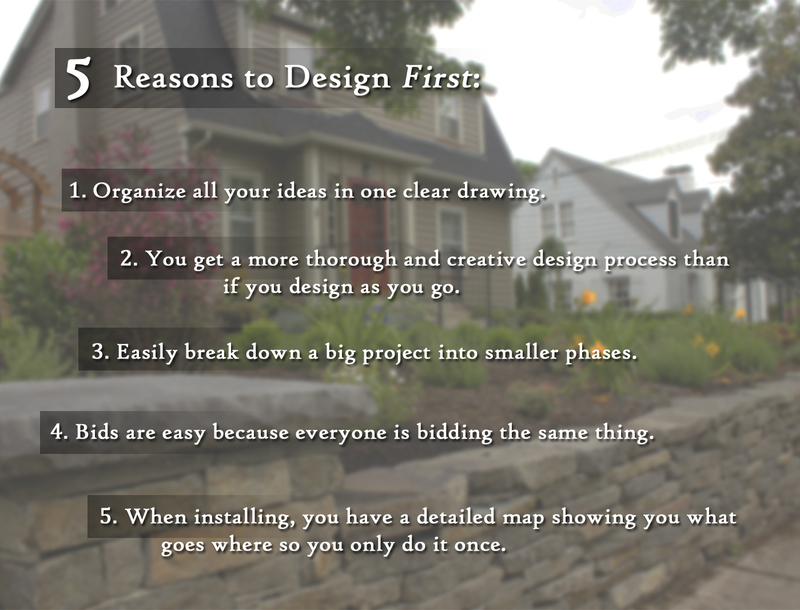 Good question, below is how the design process typically works, but I'm flexible, we can do it however it best fits your needs. 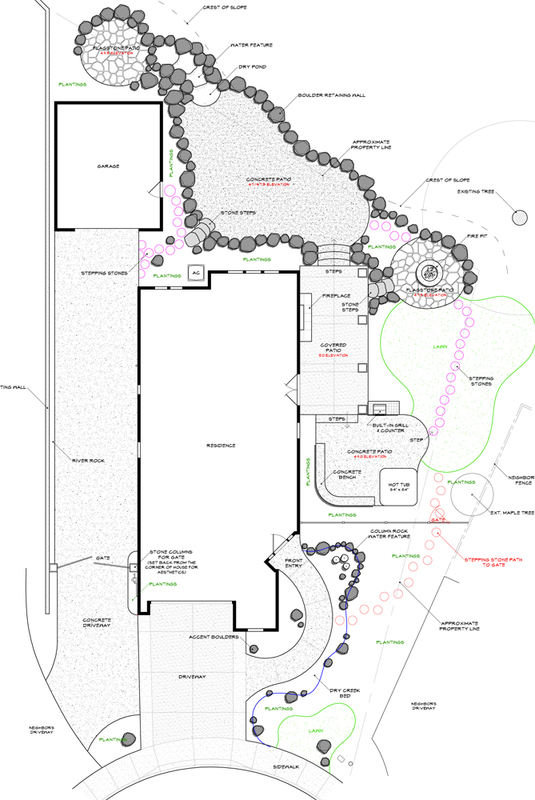 I meet with you on site at no cost to discuss your needs, learn more about your landscape project, and give you a price for doing the design work. You're excited and want a plan so we complete a Design Agreement. Then I come back later and take detailed measurements of the house and yard. 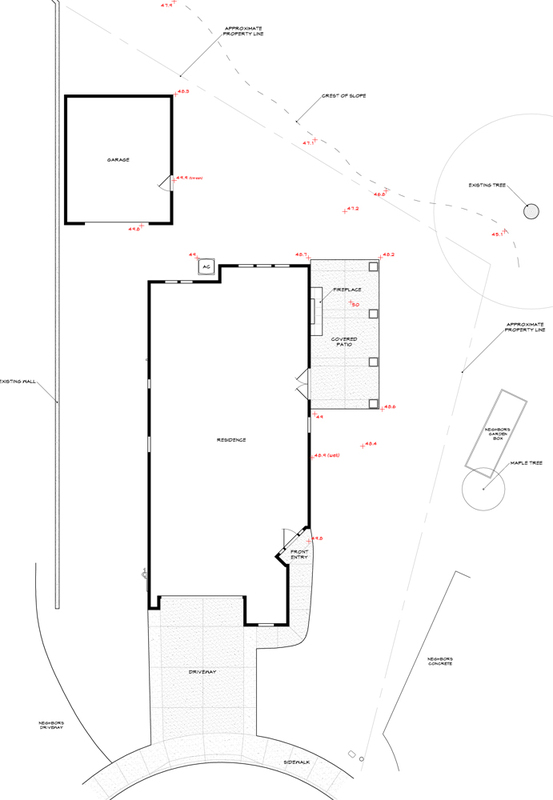 I then create a basemap of the site using AutoCAD. 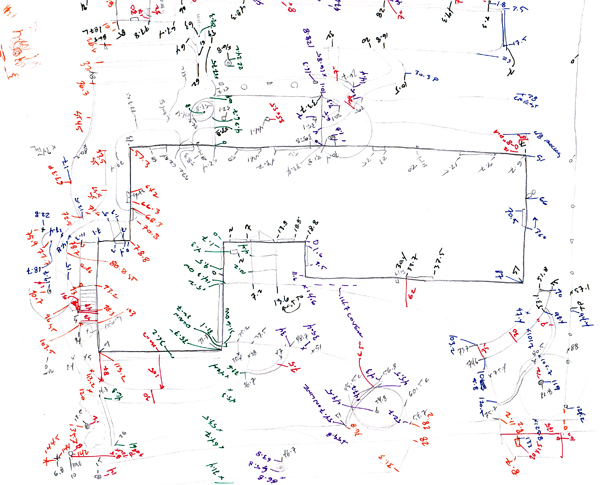 For most projects, rough Concept Plans (usually four) are done by hand over the basemap. This allows me to get a bunch of ideas down on paper and give you a range of options from simple to more complex. This is a great step because you get to see everything to scale on paper, so it's organized rough enough for changes. We meet to go over these concepts, then you spend some time with them and tell me what you like from each one. After you tell me everything you like on the Concept Plans I pull it all together, making sure things fit and flow and will look good. I create what I call a Progress Plan and usually email it to you so you can make sure everything has come together like you wanted. This plan is on the computer but it's still rough so if there are adjustments they're easy to make. 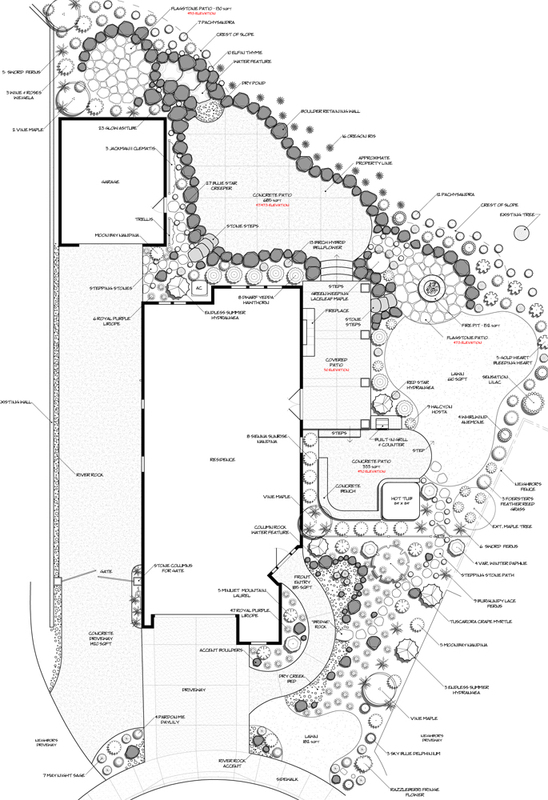 Once you give me the thumbs up on the Progress Plan I add the detail and move to the last step - plantings. I take any imput you give me on plant likes, dislikes, color, style, etc. and build a planting plan into your final Master Plan. We sit down with your Master Plan and go over the final design and all the plants using my plant cards. When your plan is completed I work as your advocate moving forward. I can get you in touch with contractors if that's what you're looking for or answer questions and steer you in the right directions if you're doing the work yourself. If you're doing the plantings yourself I can help coordinate and get the plants for you wholesale.